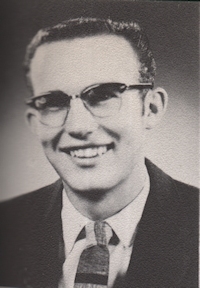 Obituary – Russell, Ronald Gene « Perry High School Alumni Association, Inc.
﻿Band 54-57, Band President 56-57, Wrestling 54-57, Student Council 54-55, Band Manager 56-57. A Celebration of Life for Ronald Gene Russell, 78, of Enid, will be Thursday, October 20, 2016, 9:30 AM at the Ladusau-Evans Funeral Home Chapel with Pastor Terry O’Toole officiating. The interment will follow in the Roselawn Cemetery in Okeene, OK. The family will receive friends on Wednesday from 6 to 7 PM at the funeral home. Ronald was born July 31, 1938 in Joplin, MO and passed away October 15, 2016. He attended Perry Schools and graduated in 1957. He attended OSU and finished at Phillips University in Enid. After graduation, he served in the United States Army receiving several commendations and an honorable discharge. Ron was employed by GEFCO, ONG and then retired from Prudential Insurance after 28 years of service. After retirement, he farmed which was a lifelong dream of his. He loved raising longhorn and limousine cattle. He loved the outdoors and hunting to include numerous trips to Colorado with his buddies. He also enjoyed camping and fishing at Canton Lake and trout fishing in Wyoming. He was a man who loved to cook and enjoyed his favorite foods, desserts and chocolate candy. Ron is survived by his wife, Teresa (Baker) Russell, his sons, Ronald Jay Russell, Cavin Duane Todd and Brandon Jay McCamey and his wife Mandy (Stephens), daughters, Caria Rayna Dull and Coleen Rashall Todd, a sister, Judy Patak and her husband Charles and grandchildren, Braylin, Payton, Jradden, and Jarrett Russell, Brittney, Baylee and Brady Todd, Blakely and Anderson McCamey, a nephew, Devon Clark and his wife Julie and a niece, Amber Koehn and numerous other family and friends. He was preceded in death by his parents, Walter O. (Jiggs) and Elizabeth J. (Libby) Russell, maternal and paternal grandparents and a niece, Adele Laing. 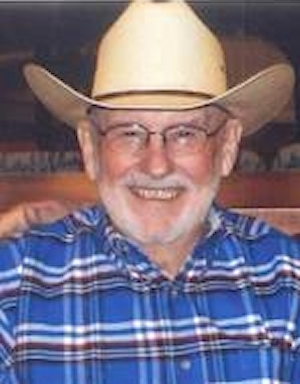 Memorial contributions may be made to the Chisholm Trail Cowboy Church or St. Jude’s Children’s Hospital with Ladusau-Evans Funeral Home serving as custodian of the funds.